Bed Buddy® at Home products are fragranced with essential oils and natural herbs to help you relax sore joints, restore tired muscles, and revitalize your senses. Simply microwave for soothing moist heat or chill for a cooling compress. 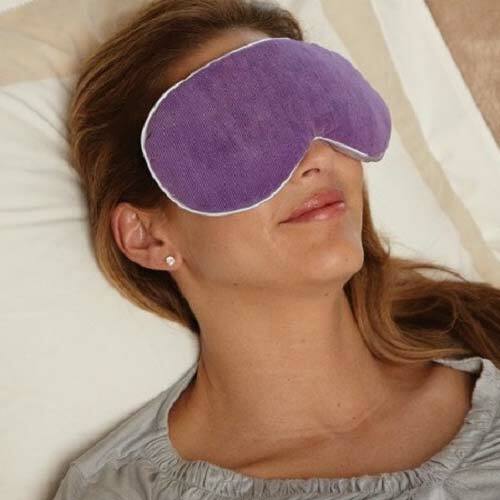 The relaxation mask can be used warm over the forehead to release sinus tension and relieve headaches or used cold over tired, puffy eyes to relax and reduce swelling. The mask includes an elastic band to hold the mask in place and a satin back for optimal comfort. Simply microwave for moist heat to reduce sinus pressure or chill for a cooling compress to place over tired eyes.